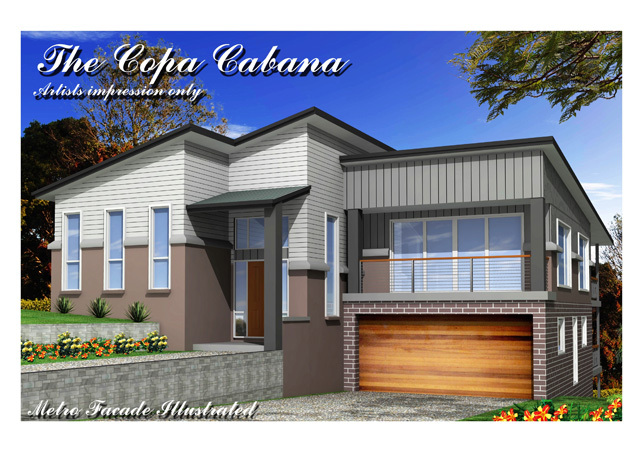 The Copa Cabana Split level Home design, caters for land which slopes in two directions. 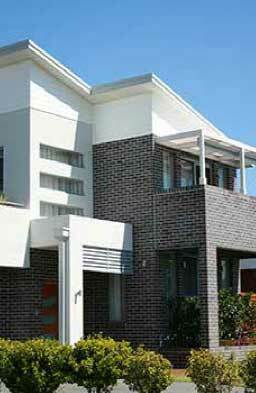 Fall below street level combined with a crossfall on the land is accommodated by reducing the ground floor footprint in the front left hand side corner. This creates a sub floor void under the master bedroom. 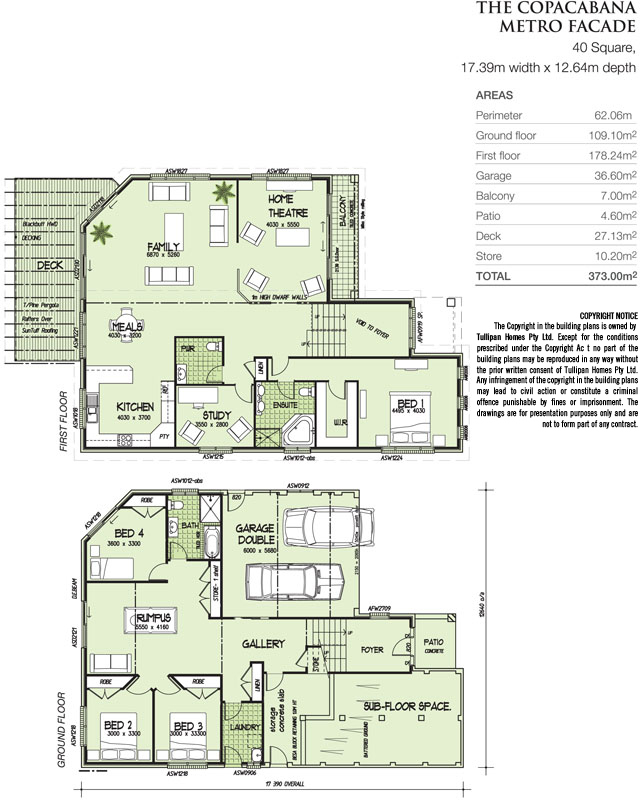 The 40 square design boasts upstairs Living with outdoor balcony access both Front & Rear of the design. 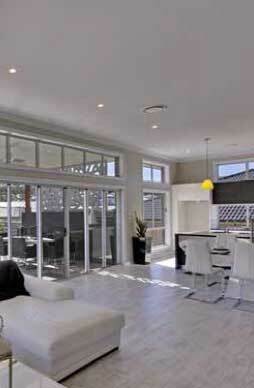 The large Open plan family & Living upstairs configuration promotes energy saving passive solar design. The modern facade with its tasteful blend of construction materials, is in keeping with our latest METRO Range of Home styling.